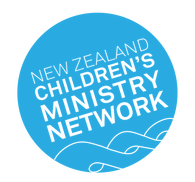 We are also part of the New Zealand Children's Ministry Network, along with SUNZ, Kid's Friendly, The Baptist Churches, Unlimited, and others. The NZCMN works with churches and children's ministry leaders around the country, sharing in training, resources, networking and prayer. 1-3 August 2019The next Australasian Regional conference of the IASYM will be held in Auckland, New Zealand, from 1-3 August, 2019. The conference gathers people involved in children’s, youth and emerging/young adult ministry as teachers, lecturers, researchers or thoughtful practitioners across Asia, Australia and New Zealand. The conference provides an opportunity to engage with the latest scholarship and research related to Christian ministry among young people as well as a forum for building stronger network. Hosted by the Salvation Army, The Leading Incredible Volunteers tour is all about … volunteers. Whether you’re a leader of volunteers or a volunteer leader, this tour will challenge and inspire you to take your team to the next level. Join Adam Duckworth and Margaret Spicer as they share real life experience and unique insights into what it means for you to be a team of incredible volunteers. Discover the power of working as “We”, how to lead when you’re not in charge, and be challenged to ‘own’ rather than ‘rent’ in ministry. Incredible teams are made up of ordinary people with an extraordinary difference. Incredible volunteers. The tour is made up of two kinds of events which are being offered in six cities around New Zealand, 24-30 May 2019: a Team Leaders Lunch, and a Volunteer and Teams training. Children’s ministry leaders and volunteers in churches of all denominations, CEC teachers in schools etc. ​Children’s ministry leaders and volunteers in churches of all denominations, CEC teachers in schools etc. Keynote themes on Leadership, Empowerment/Evangelism, Advocacy, Discipleship. An Australian biennial children and family ministry leadership conference. Conference serves paid or voluntary leaders-of-leaders of church and school-based ministry working with pre-school & primary children and families. NZ Anglicans going to this - get in touch if you want to get in touch with them.